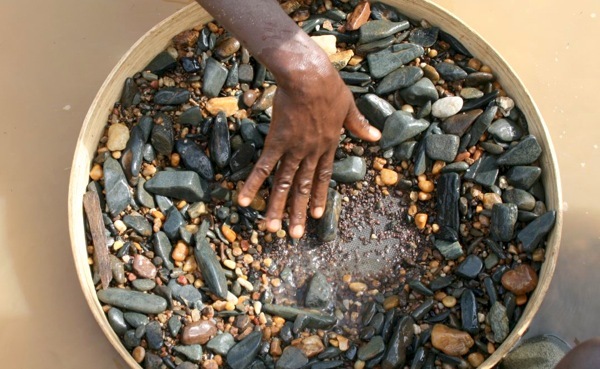 The West African nation is the only country still under UN Security Council ban on diamond sales. Ivory Coast will demand the United Nations to lift an ongoing ban on its diamond exports next month, as the country received a clean bill of health from the Kimberly Process, the body tasked with preventing the sale of precious gems from financing armed conflicts, in November last year. The embargo, imposed in 2005 during the West African nation's civil war, also aimed to stop the traffic of diamonds between neighbouring Liberia and war-torn Sierra Leone through Ivory Coast. Now that the war is over, however, the country’s government says diamonds are no longer a threat to stability. Fatimata Thes, the official in charge of the diamond sector at Ivory Coast's Mining Ministry, told Reuters had put a system in place to register diamond workers and track production. The authority said that since President Alassane Ouattara's government put in place a traceability system in May last year, collectives have stockpiled about 10,000 carats in preparation for the lifting of the embargo. Ivory Coast, the world's leading cocoa producer, is the only country still under UN Security Council ban on diamond sales. Removing it, say experts, would help the night fight poverty. The Kimberley Process was created 10 years ago to prevent illegally mined and so-called "blood diamonds" from filtering into the market to fuel conflicts.